amiro art galleries: HAPPY NEW YEAR! First Friday, first of the year, first of January! HAPPY NEW YEAR! First Friday, first of the year, first of January! The new year brings new artists to the First Friday Art Walk, opening exhibition on January 1st 5-9 pm. Amiro Art + Design is pleased to showcase the work of seven artists for January, Febuary and March 2016. Long time Saint Augustine resident and graphic designer, Cindy Wilson, has become totally immersed in exploring the possibilities working with hot wax and dyes on cotton fabric, and her new mantle as an award-winning batik artist. 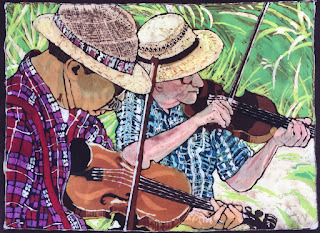 She is presenting new works in a series entitled "Adventures in Batik" showcasing her meticulous attention to detail in a variety of subject matter. Painter Darrell George from Bethlehem PA, says potential lies in anything. Creative minds will seek boundless beauty, found in the corner of any room. 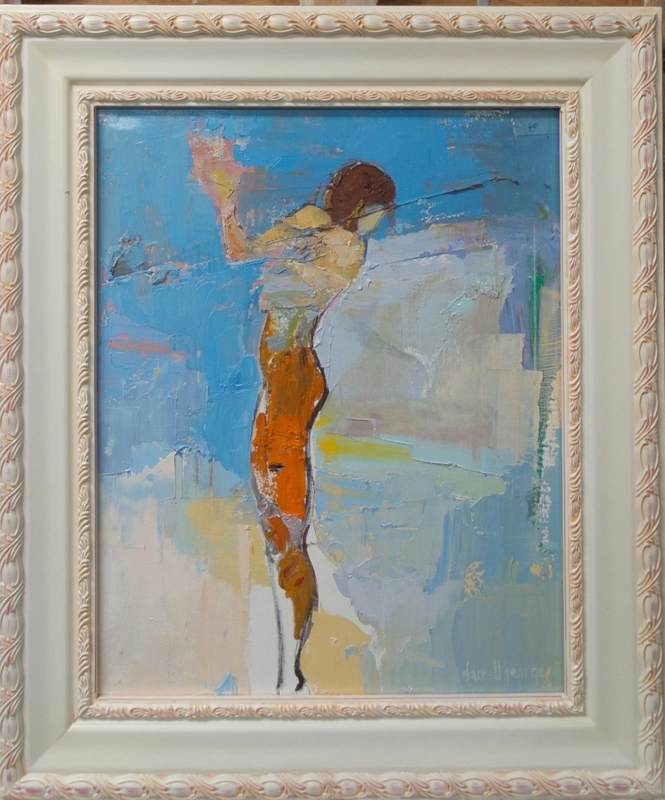 George paints figurative abstracts in oil that allows just enough control of the medium to get a three-dimensional message across on a two dimensional surface. It is in the exaggeration of our imperfections Darrell George finds beauty. The viewer is tempted to look more than once, recognizing something new within the layers at each glimpse. 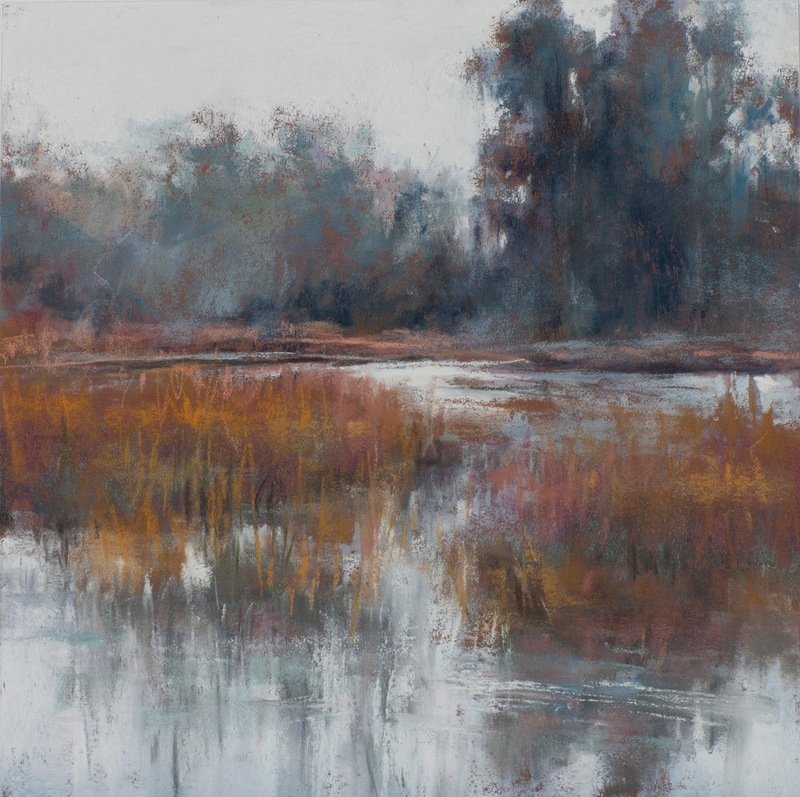 Lyn Asselta’s pastel landscapes have been described as expressive, evocative and timeless. Her paintings are inspired by the environment around her, both natural and manmade, but she is particularly drawn to images that relay a sense of solitude and strength. Asselta's pastel paintings have been exhibited throughout the United States and in France. 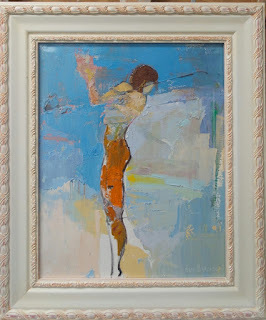 Founder and current co-president of the First Coast Pastel Society, Signature Member of the Pastel Society of America and Master's Circle of the International Assoc. of Pastel Societies, Lyn is also a sought-after workshop instructor in her medium. Home and studio are located in Vilano Beach, Fl. Local artist David Ouellette is an art history Professor, former gallery director, lecturer, and art consultant. His paintings bring a sense of motion into the visual realm. The work is sensual and gestural, capturing the immediacy in using enamel paint as medium. Ouellette is able to engage in various colors and tones while in their liquid state, adjusting character with the use of controlled solve and gravity. Jewelry designer Gabrielle Gould shows pieces of her signature whimsical work in oxidized silver, gold and enamel. Trasea Womack has ocean-themed glass lampwork jewelry and ornaments. Estella Fransbergen exhibits new raku fired sculptures, detailed with natural stones, crystals and feathers. Fransbergen was recently the featured artist in Tampa of a partnership between Syd Entel Gallery and Dillard's Department Store in a Tribute to the Dress 2. One of her sculptures was auctioned in a fundraiser for All Children's Hospital.